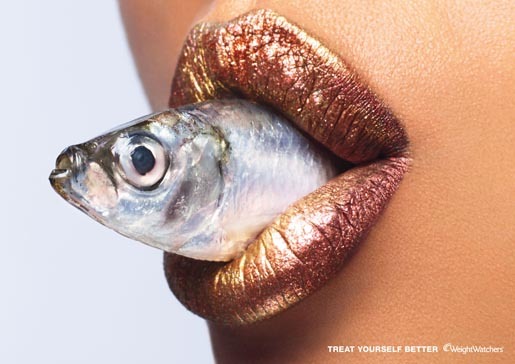 Came across this brilliant piece of advertising on my RSS feeds and was really intrigued by it. 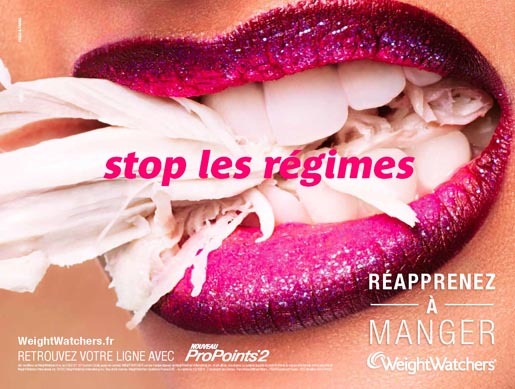 Created for the Weightwatchers France, it is a print/TVC featuring glossy lips that has all types of foods in the mouth. The message is to ask people to stop going on diets, (treat yourself better), and to start eating again. 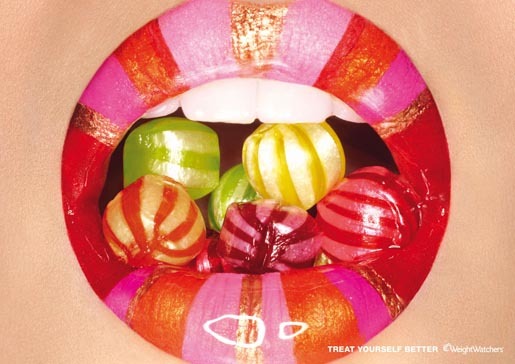 It is tantalizing as it focuses on 1 human feature as fashion/art with the lip colours and contrasting that with the multitude of foods that one eats - from fish to gummy worms to candy. What I really enjoyed was the background track -- and found that it was a cover by Amel Bent of the 1970s popular song, "Tu Veux ou Tu Veux Pas" (You want or you don't want) by this guy called Marcel Zanini. It was hilarious! Watch on Youtube (playback on the site is forbidden). Thought I'll share this with you all. Happy weekend! That ring light is HUGE!! !